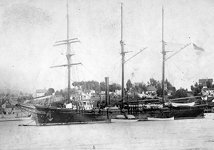 Characteristics: Steamer, barkentine rig, built by James D. Leary, Brooklyn, New York, cost $100,000, launched 15 January 1884, commissioned 1 April 1884, wood hull, 604 tons/719 tons displacement, 163ft long x 27ft beam x 14ft draft, vertical steam engine, 215 or 356ihp, 8ft screw, 7kts (replaced by 325hp diesel in 1924), crew of 13 officers and 40 men. 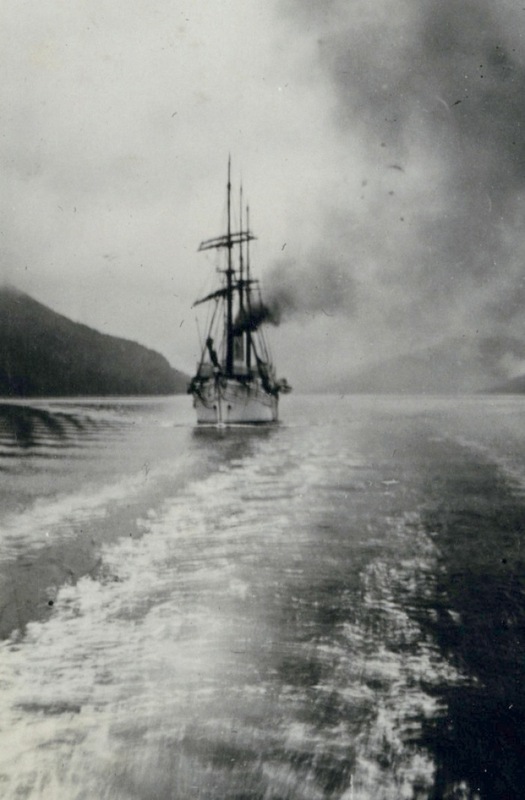 Log Period and Areas of Service: 1884-1918, Alaskan waters, Pacific coast, Hawaii. 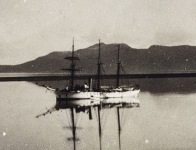 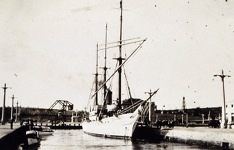 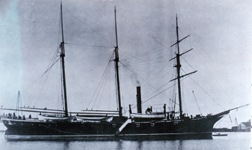 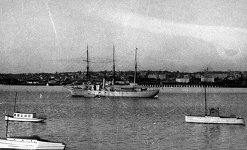 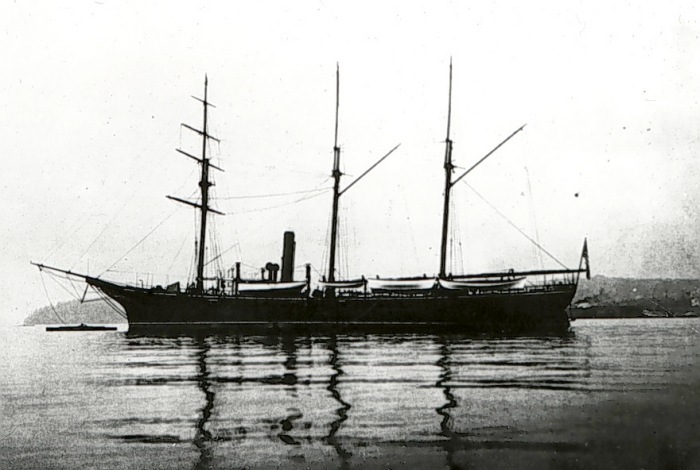 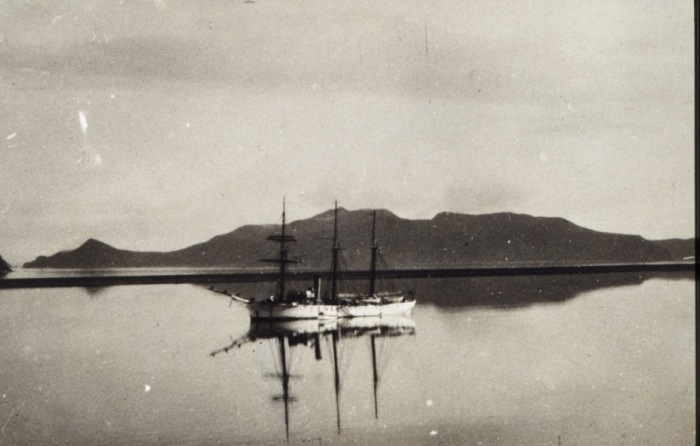 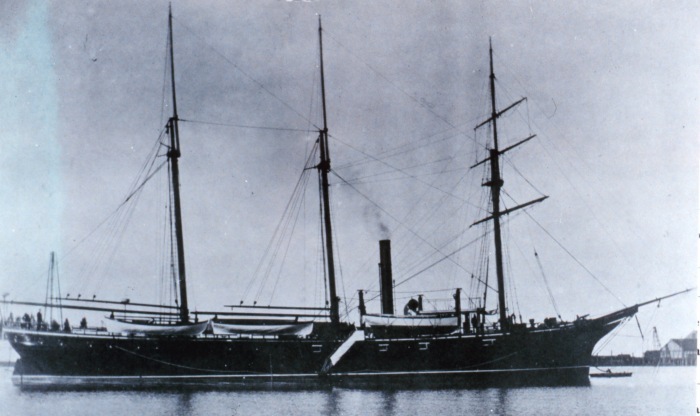 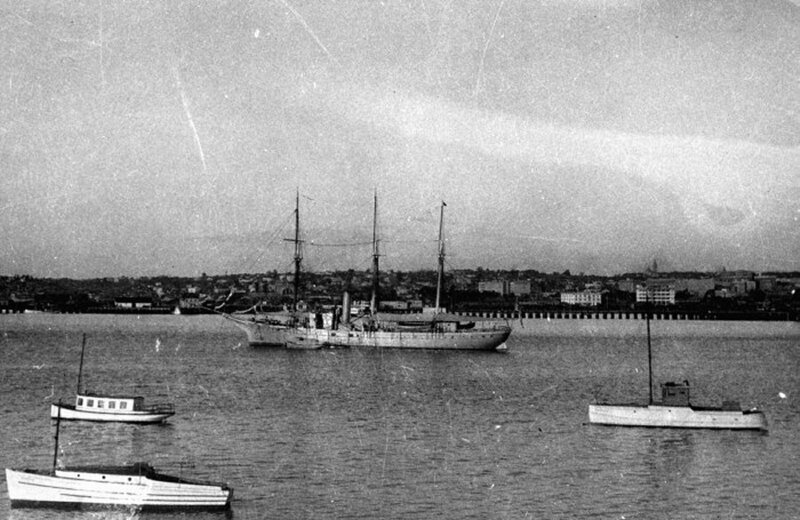 30 July 1884 - Departed Hampton Roads for West Coast via Straits of Magellan with numerous stops on passage. 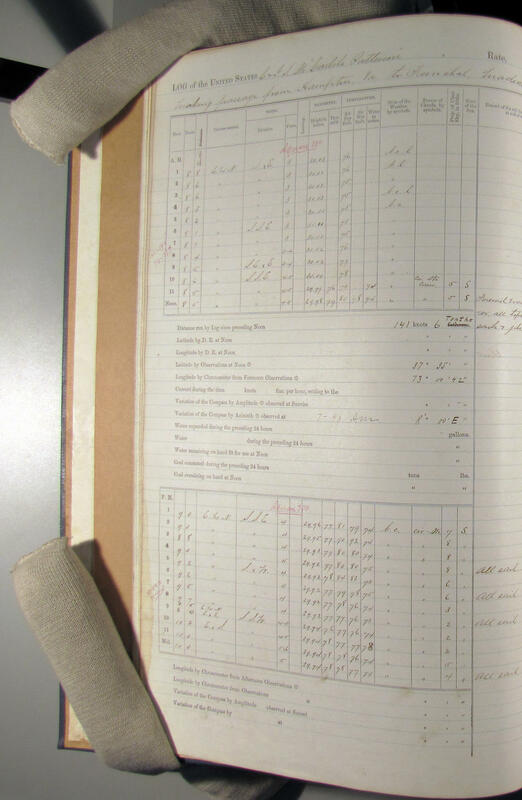 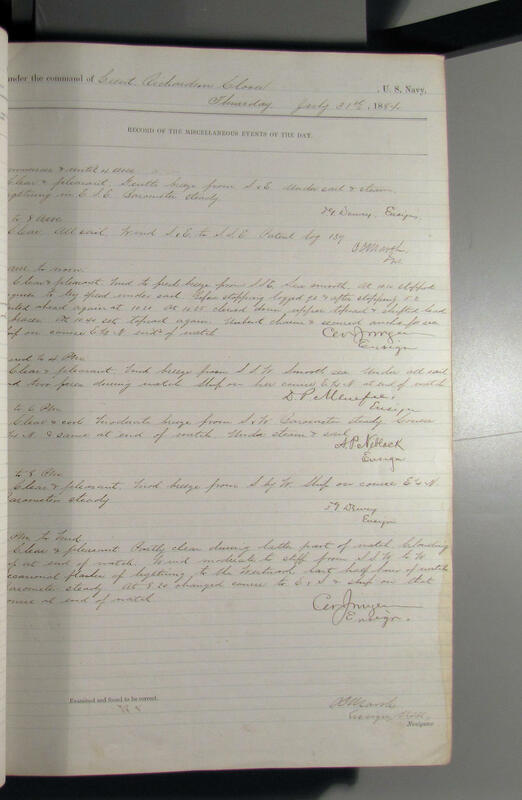 13 February 1885 - Arrived San Francisco, and prepared for first season of surveying. 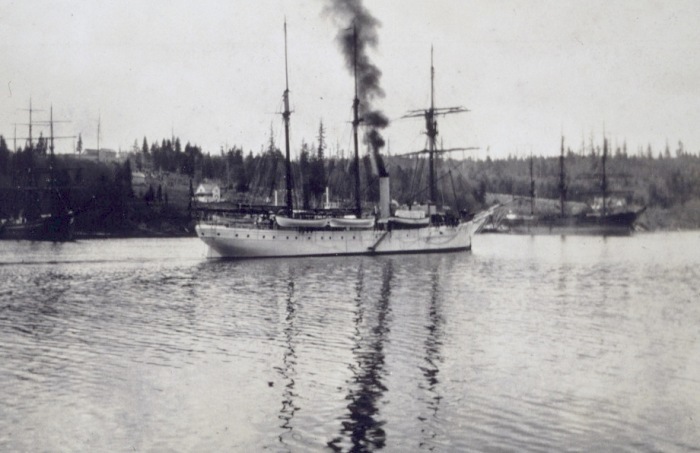 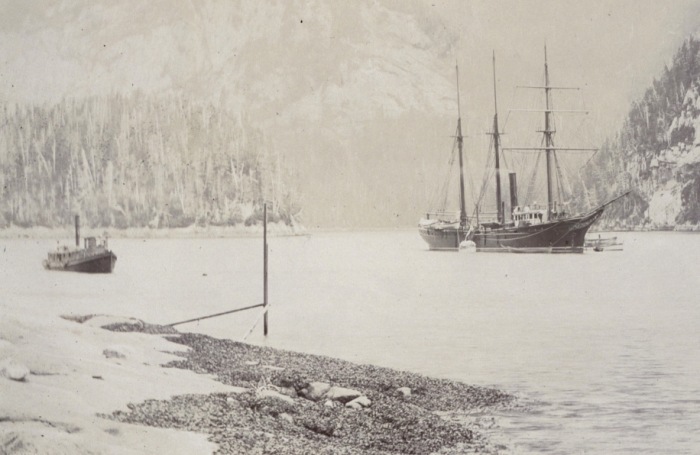 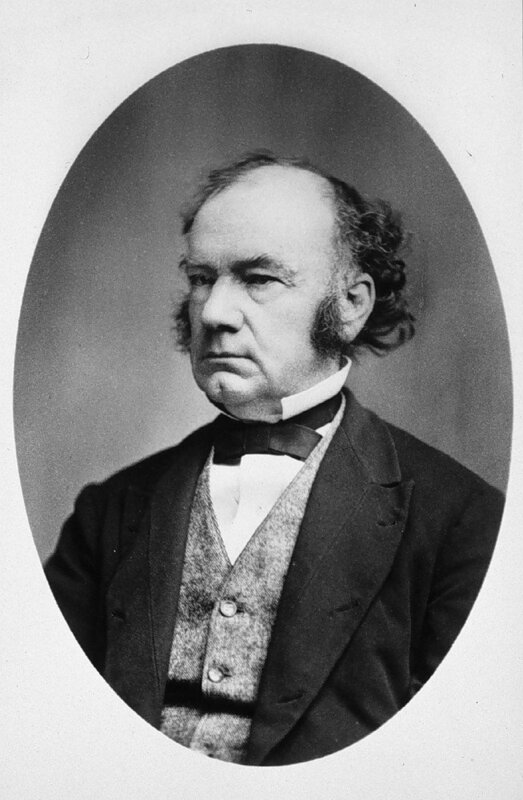 26 April 1885 - Departed for Sitka, Alaska, and began survey work 27 May. 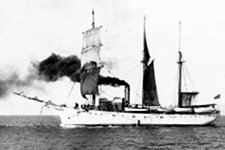 Continued career, mainly employed as hydrographic survey vessel in Alaska, with periods spent off West Coast and in Hawaiian islands. 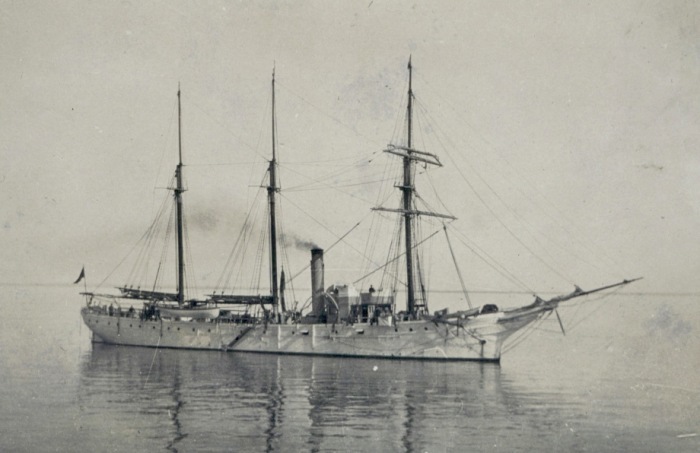 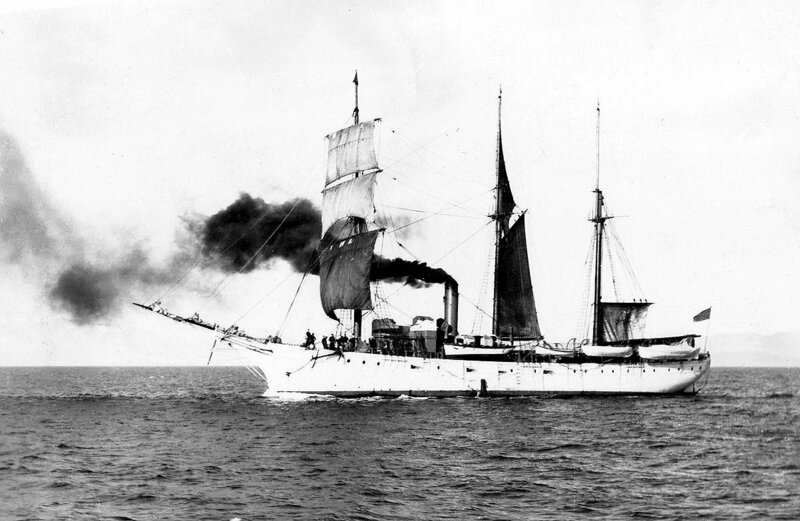 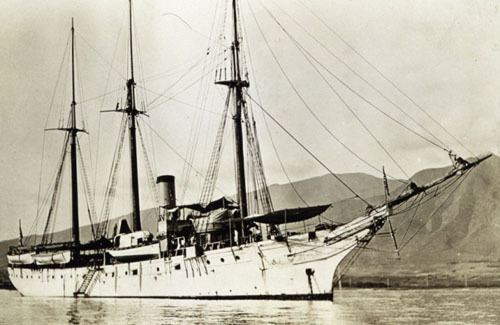 28 September 1914 - Rescued 29 crew of USRC Tahoma after she ran aground on an uncharted rock in the Aleutians and sank. 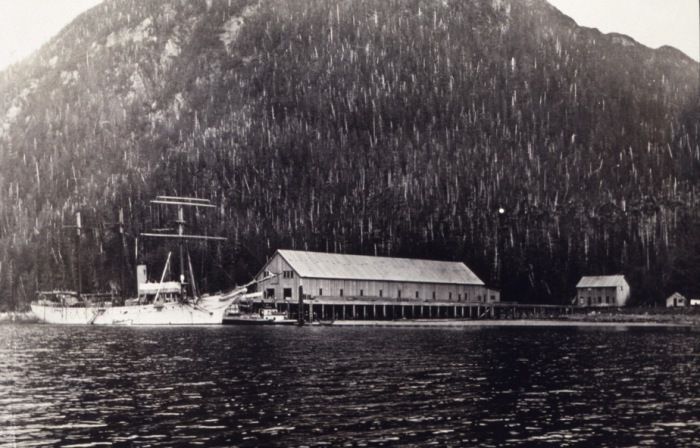 17 August 1916 - Assisted cannery tender Mary Mahoney near Kashevarof Passage, SE Alaska, when five of her crew were overcome by fumes. 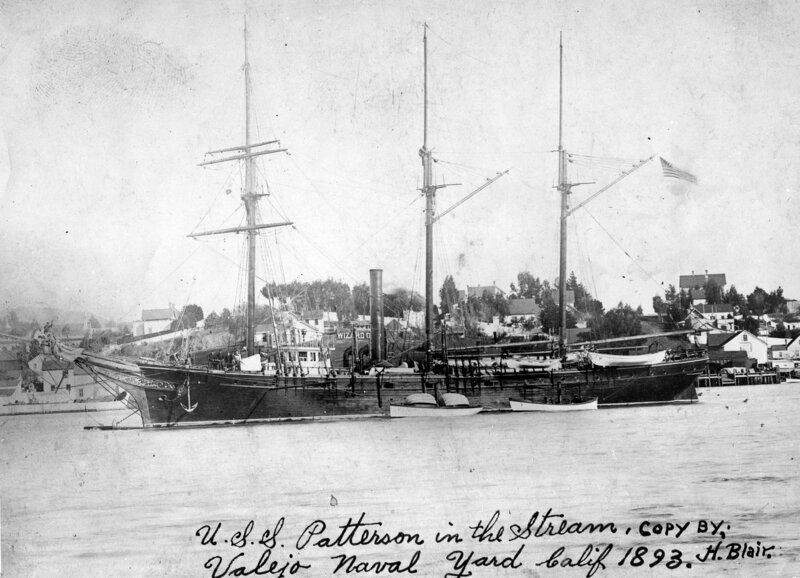 Two of the men were revived by Patterson's crew. 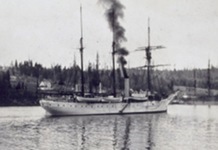 1918 - Transferred to US Navy as patrol and survey ship off Alaska and Mexico during last months of World War 1. 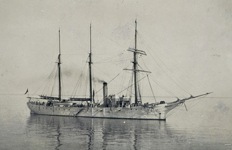 Renamed Forward 15 August. 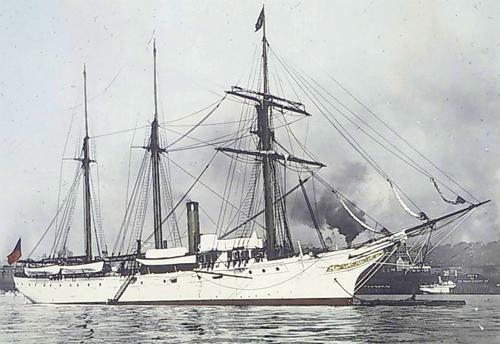 Armed with 2-6pdrs, Gatling guns. 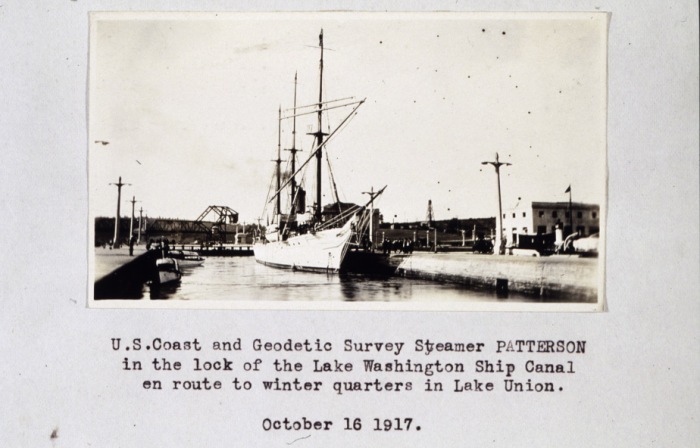 1919 - Returned to C&GS, but declared no longer serviceable. 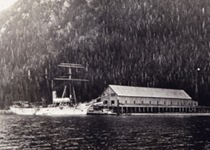 1919-24 - Believed out of service. 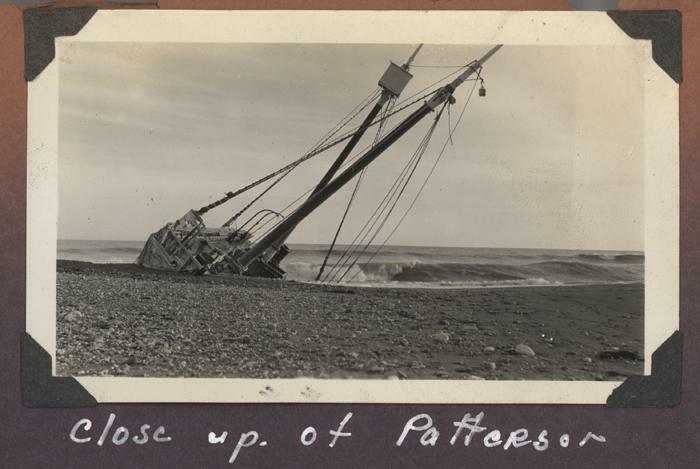 Fate: 1924 - Sold, entered mercantile service, wrecked 1938. 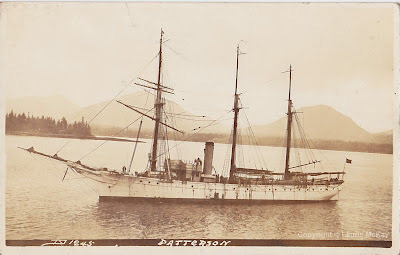 In mercantile service from 1924 as the M S Patterson of the Alaska Patterson Co. 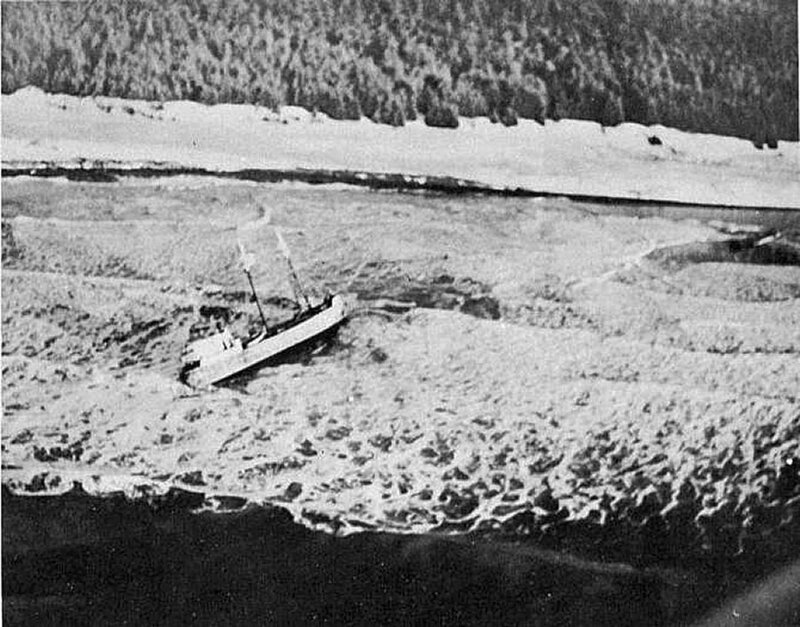 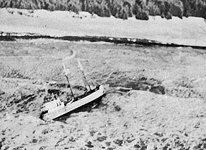 Sailing from Kodiak for Seattle, ran aground at Cape Fairweather on 11 December 1938 and wrecked (right). 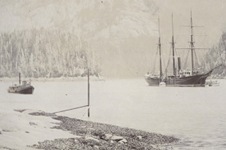 Lost only twenty miles from site of first survey, c1885.